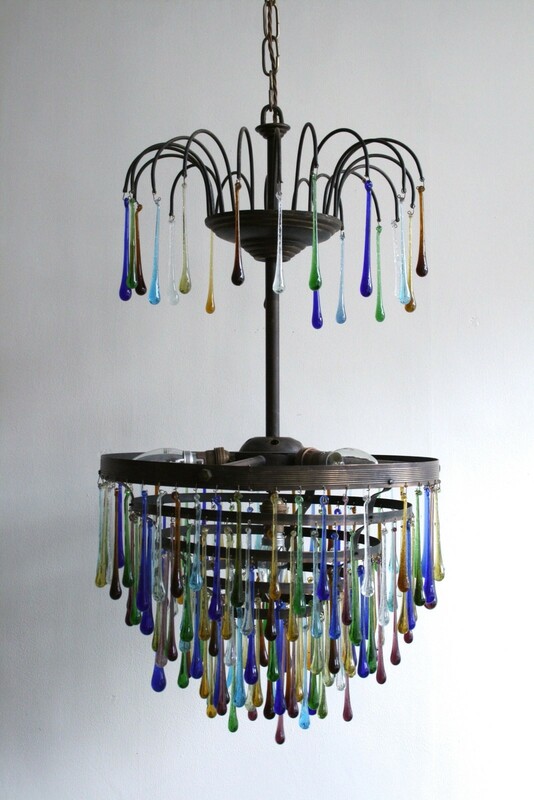 1920s brass chandelier frame with contemporary deep blue, rich brown, golden yellow, green, amethyst and clear glass teardrops. The upper tier is reminiscent of drooping willow branches from which also hang hand blown teardrops. There are three side facing lampholders and one down-lighter.